Can one be a mother and still be “cool”? 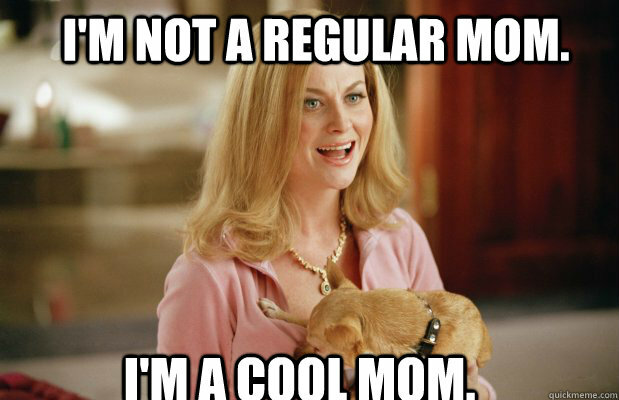 Amy Poehler’s character in “Mean Girls” tries so hard to be a “cool” mom. 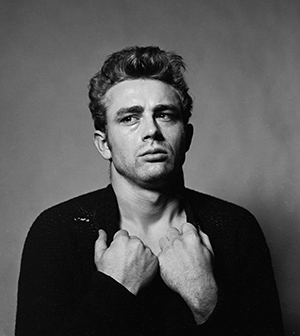 What does being “cool” mean to you? While that’s a cool definition (yes, I did that on purpose), it is not exactly how I would define “cool.” I don’t think I’d always want to hang out with someone who is edgy and mysterious. To me, a cool person is someone you want to have at all your dinner parties. It’s that person who you can trust to put everyone at ease in a social situation, and who provides good conversation. A cool person is easy to talk to, is fun to be around, and is knowledgeable about interesting and relevant topics. While you feel slightly jealous and wish you could be more like him or her, you mainly just appreciate that this person is fun to hang out with and can be relied upon to liven up a social occasion. Why do I care about cool? Who wouldn’t want to be the person I described? That’s not to say that I think I am that person. I just *aspire* to be her. I love being called up to join a party. It’s fun to know that I can often say yes to an impromptu outing, a post-work drink or a wild Saturday night. Before long, my days will be filled with another little person. Chico and I will focus all our attention on feeding, clothing, cleaning, and caring for this little being. Any hope I had of being cool will be gone. And I’m okay with that. I’ll never be this cool. I’m ok with that. “Okay with that”?? Isn’t my generation supposed to be the “selfish generation”? Generation “ME ME ME”? Shouldn’t I want to focus on my pleasures, my pastimes, my friends, career, looks, personal development, etc.? I am surprised and delighted to discover as my body grows, distorts and stretches itself into a baby-making machine, that I cannot wait to lavish all my attention, love, devotion and time on the little person who is, right at this moment, kicking me from inside. Getting used to the idea. I don’t plan to lose my identity to being a mom (or even trying to be a “cool mom” à la Amy Poehler). I’ll still write, knit, and socialize. But I am grateful to realize that as I get closer to meeting little one, I’m looking forward to the opportunity to challenge myself to give unselfishly of my time and energy. It will be hard. But, thankfully, I won’t be doing it alone. Congratulations for your pregnancy !